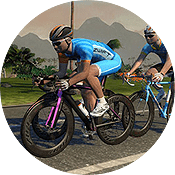 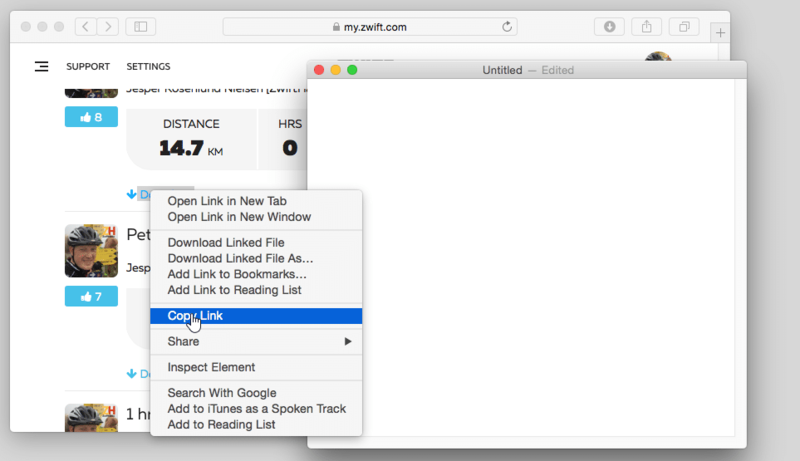 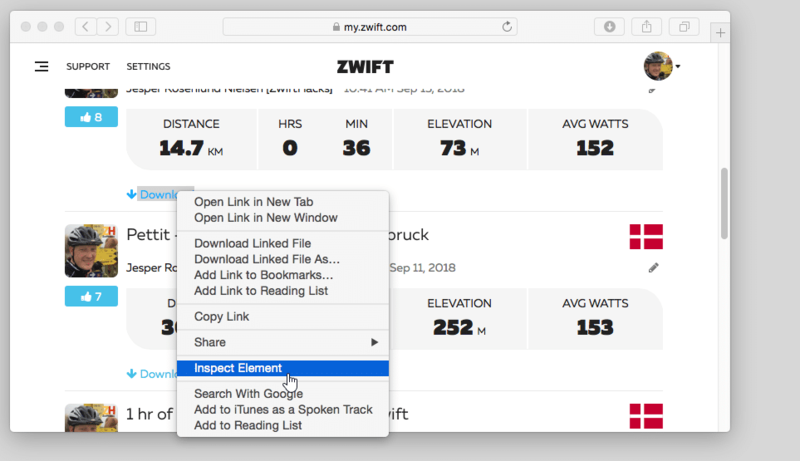 Editors’ note: find the original version of this post along ZwiftMap, ZwiftPref, and other tools and hacks for Zwifters at ZwiftHacks.com. 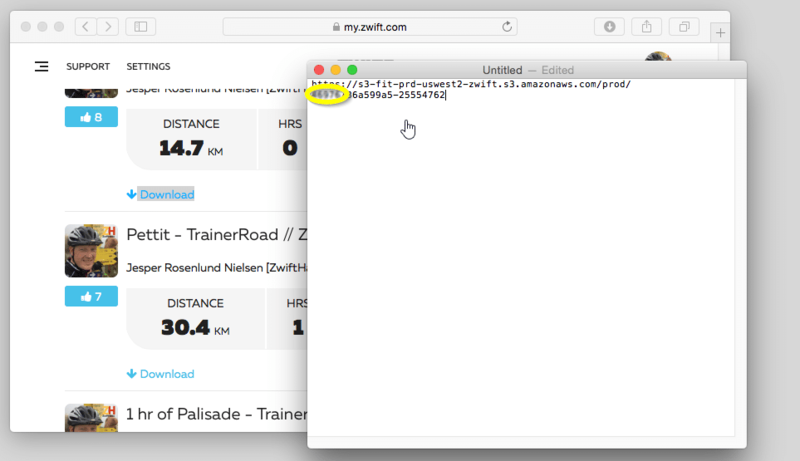 At the end you can also find a bookmarklet for automating the lookup, and a glimpse of an ultra-geeky way (not particular usefull for most, I admit, but perhaps fun for the hackers and coders ). 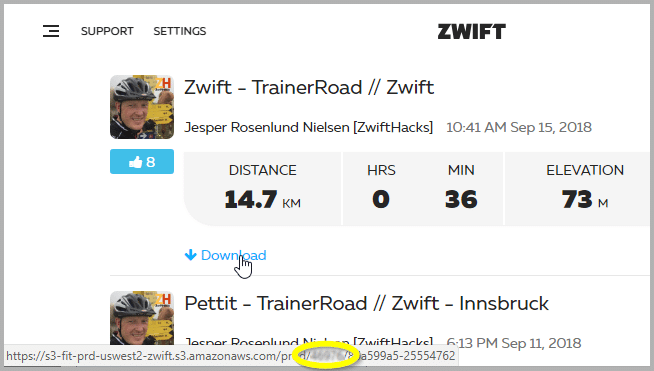 If you find it hard to hover over the link and read the ID number, you can also copy the download link (in Chrome with a right click on the link and and Copy link address) and paste it into a text editor such as Notepad. 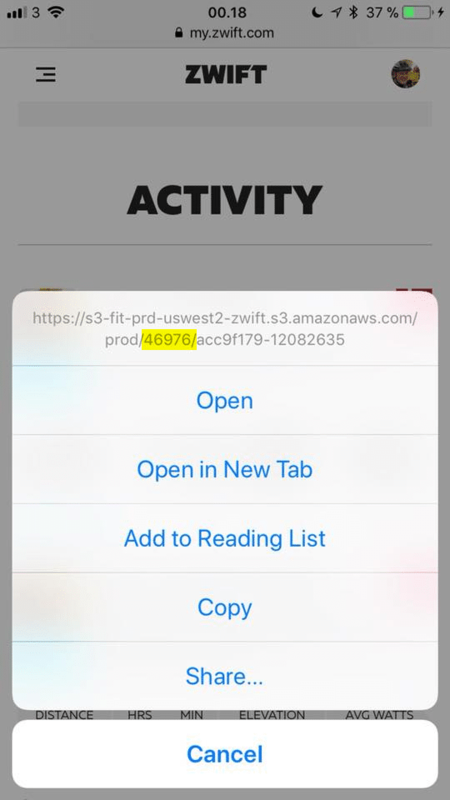 Then you won’t have to hold the mouse still while locating the ID. ? 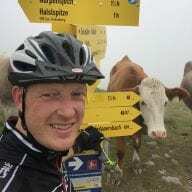 This was the second post in a two-part series. 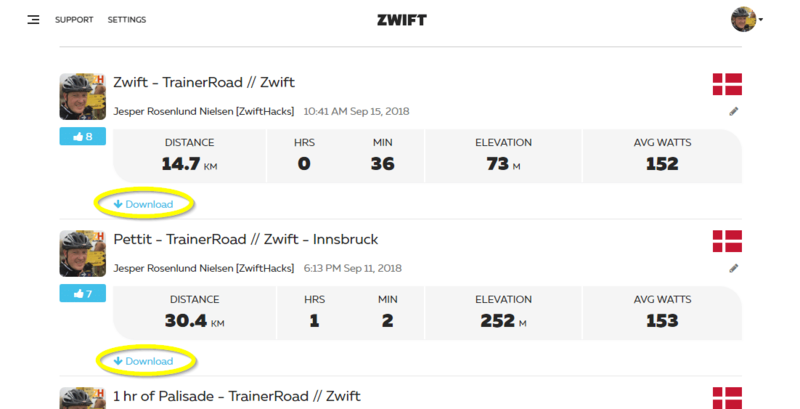 The first post was Find your Zwift user ID. 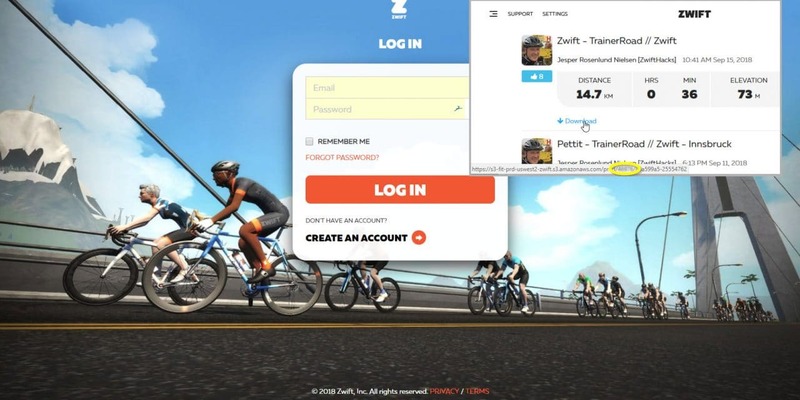 I think the easiest way to find the user ID, at least in Windows, as has been shown in the past, is to open File Explorer, scroll down to This PC, click on the Documents folder, then scroll down to the Zwift folder, open that, scroll down to the folder named cp, open that, and you will see a folder titled user, with your numeric ID appended thereto. 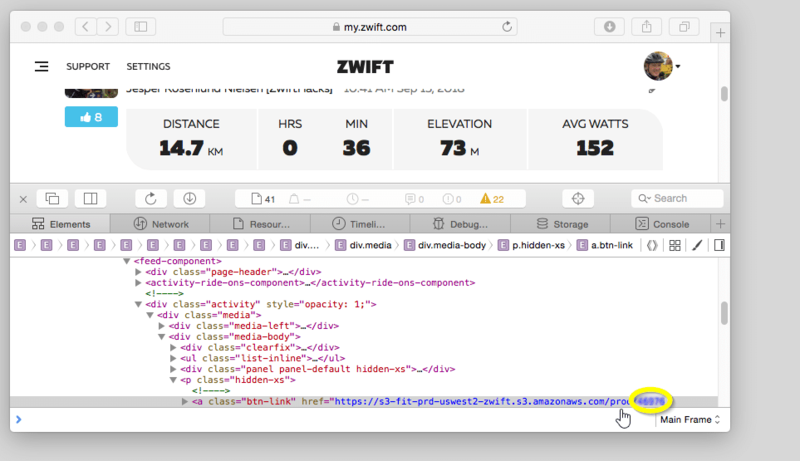 It will look like user12345.